Actually, it's about ethics in purchasing videogames with campaign funds. In other totally huge criminal political news today, “Republican congressman Duncan Hunter and his wife have been indicted by DOJ for allegedly using $250,000 in campaign money for their own personal expenses, including trips to Italy and Hawaii, and dental work,” reports Mike Levine of ABC News. California congressman Rep. Duncan Hunter (R-Alpine) and wife Margaret spent over $1,500 of that campaign money on Steam games. They initially blamed their son. The weird gaming connection in the case was reported back in 2016, but -- now the guy is probably going to prison. For games, in part. Pretty wild. The document, filed Tuesday in federal court, accuses the couple of converting more than $250,000 in campaign funds to pay for personal expenses and filing false campaign finance records with the Federal Election Commission. The indictment accuses the couple of crimes including conspiracy to commit wire fraud, falsification of records and aiding and abetting prohibited use of campaign contributions. The crimes date back to 2009, according to the indictment. Hunter has been under scrutiny since April 2016, when the FEC and then The San Diego Union-Tribune began questioning expenses of campaign funds including video games, private school tuition, oral surgery and a garage door for the couple’s Alpine home. Spending of campaign funds for personal use is banned by law, to protect against undue influence by donors who might benefit from congressional actions. 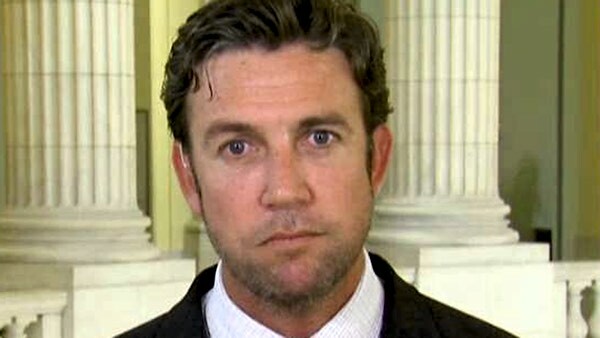 The Federal Election Commission is questioning Rep. Duncan Hunter, R-Alpine, for his use of campaign funds to pay for video games on 68 separate occasions — something the congressman is attributing to a mistake by his son, followed by several unauthorized charges. The expenses run from Oct. 13 through Dec. 16, and no payback is listed during the time period of the report. Hunter’s spokesman, Joe Kasper, said the congressman’s teenage son used his father’s credit card for one game, and then several unauthorized charges resulted after the father tried to close access to the website. Kasper said that Hunter is trying to have the unauthorized charges reversed before repaying his campaign account. “There won’t be any paying anything back there, pending the outcome of the fraud investigation, depending on how long that takes,” Kasper said.